NOTE: This article is an excerpt from a new book by the author ‘No Kidding – Why Our Kids Know More About Technology Than Us and What We Can Do About It’. Get your copy here. Many parents I know absolutely love Facebook which can be a lifeline when they are stuck at home with the kids, particularly if they live far away from friends and family support. On it, they can share small victories, look for support, get a good giggle and keep in contact with the people they love. Many creative mums have also picked up on the highly visual social networks such as Pinterest and Instagram, sharing everything from their baking prowess to family shots and interior design inspiration. As a parent you may have been out of the workforce for some time raising kids. If you are ready to re-enter it, you would already know the adage ‘It’s not what you know, it’s who you know.’ LinkedIn is a social network for professionals, so even long before you are thinking of returning to work and without even leaving the house, you can start connecting with people who might be in a position to offer you a job in the future or who might know someone looking. 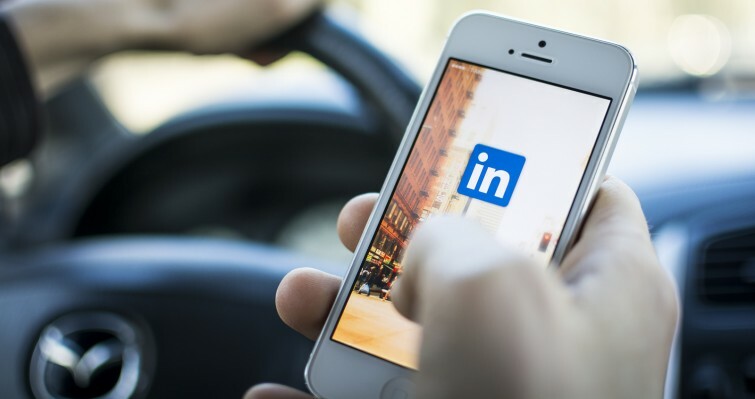 On LinkedIn, you can, for instance, search for people by location or industry, and you could check out their profile before you shoot them off a connection request. Therefore, even if you are seeking a career change from what you were doing pre-kids, you may be able to achieve that through LinkedIn. If you have a teenager child at home and you want to get them some part-time work for the never-ending requests for money and high-ticket items, LinkedIn is also worth checking out. The legal age to start a LinkedIn profile is now 13 yearsso if they meet this requirement, encourage them to set up their very own LinkedIn profile. They can then start to connect with potential employers – even if it is just work experience or an internship to start with. As a parent of a child under 18, using your LinkedIn Profile, you could also look to connect to people on their behalf. However, word of warning on this: as an employer, I am never that impressed if the mum or dad does the legwork for the child. This does not display any kind of initiative, and to me it suggests a domineering parent. I am therefore less likely to give them a shot. I would much rather the child have the get up and go to get in touch, and I am quite prepared to overlook the nerves and lack of skills if I can see a good attitude and initiative that I can harness as an employer. If you have a home-based business, helping your partner to run one, or seeking to promote services or products to other business – LinkedIn is definitely the place you want to be in. I meet a lot of people who think Facebook is the ‘be-all-and-end-all’. Facebook is generally a good place to target consumers, while LinkedIn is generally a good place for targeting businesses. Apart from setting up a profile for yourself (and, if relevant, your partner), definitely also look at LinkedIn to set up a free company page too, and then do some training on it so you know all the functions and features to start reaping business benefits from it. 4. Get yourself a confidence boost As a parent, the focus can be so much on your kids and not yourself; it is easy to forget who you are and what you are good at. If you need a confidence boost for the day, I encourage you to go onto LinkedIn and seek recommendations from previous employers that will not only make your LinkedIn profile look great, but that will also hopefully give you a spring in your step too. Whilst email is well and good, statistics show that people are two to three times more likely to open a message sent via LinkedIn. There are a number of reasons for this, but the main one is that people on LinkedIn will generally only accept connections that they are really willing to connect and engage with, thus making it very difficult for people to spam you. If you were seeking a result that you were not getting from emailing people – for instance you may be looking for a great speaker for an event you are organising for the school, maybe you are trying to find a good doctor or specialist for your family, or some other expert on another topic – you could turn to LinkedIn. You’ll find it much easier to find people on LinkedIn than on Google searches, and you’ll have a much higher chance of a direct message response. If you have been surprised by some of the practical examples that LinkedIn can do – and believe that it might suit you – I encourage you to check it out! If you’d like more training, we’d love to see you at one of our LinkedIn training courses!